Technology is advancing at incredible speeds. Helping children learn, making mom life easier… This page is set up to share my favorite new ways technology is adding to our everyday lives. The new products and brands I love, I will share here. Have you heard Amazon has a new kids edition Echo Dot? They have teamed up with some incredible brands to make this dot fun for the whole family. National Geographic has a few awesome skills you can play as a family and they are very educational. We have one coming very soon and I can’t wait to dive in and see all it can do! I am a huge supporter of technology and providing children the means to explore. With my boys only being 3 and 4 there are obviously limits. Limits on time, content, and when & where they are allowed to use devices. I am guilty of allowing my children to watch cartoons while I’m trying to accomplish something around the house. My own opinion is cartoons have come a long way since I was young and watched them. I mean I used to watch Tom & Jerry and Loony Toons. Which despite my turning out just fine from watching the animals always beating each other, I have to say, I’m impressed with today’s shows. The favorites we watch (Mickey Mouse Clubhouse, Mickey and The Roadster Racers, Beat Bugs, Paw Patrol, Dora The Explorer, Bubble Guppies, Puppy Dog Pals, Vampirina, and Super Wings) are so educational. Teaching letters, numbers, reading, problem solving, emotions, and social skills, diversity, and even a second language. Not at all like cartoons of the 80’s and 90’s. Also ABC Mouse is a huge hit in our home! Such a beautiful designed website for children ages 2 – 7+. These are the kinds of developmental apps and websites that I am happy to let my boys use. I have to mention I am so excited over what some major appliance brands are doing as far as bringing technology into our homes. Kitchen appliances and laundry rooms have never been more connected to us. While at home or away. LG has some amazing new technology! I was able to check out all of their new and exciting features at Mom 2.0. I was in awe! I want to redo my kitchen and laundry room now! Here is just one of the cool new features of the LG refrigerator. Most of our favorite learning toys come from Leap Frog, VTech, Kindle Fire for kids, and Tech4Kids. 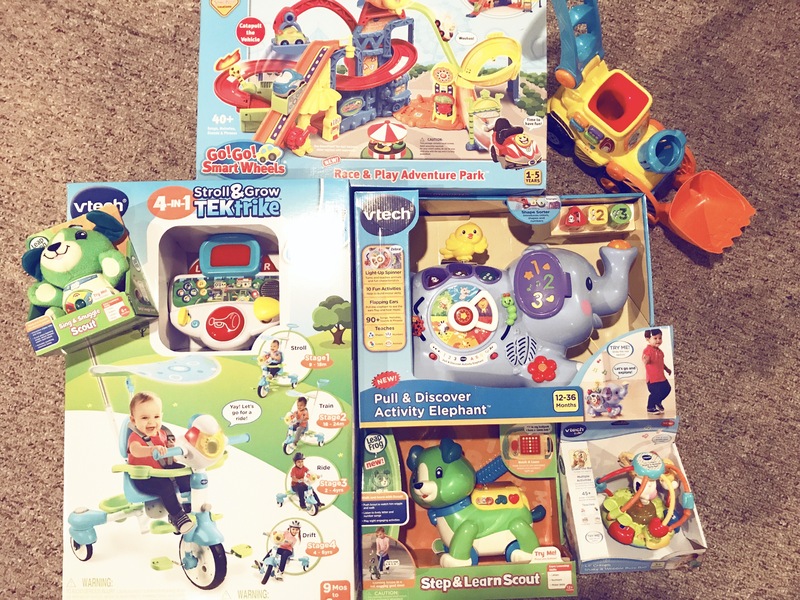 We have recently received a bunch of VTech/LeapFrog products for review. To say I was excited would be an understatement. This brand provides such amazing learning technology for young children. I can’t wait to share them with the boys and see their little eyes light up. They love the bright colors, counting, songs, learning letters! ** One of my new favorite technology devices I love to share with the kids is the Amazon Dot. Twenty Questions— which the boys really get a kick out of. Ambient Noise, Babbling Brook— great at bedtime. Short Bedtime Story— So fun! You can ask Alexa to tell a short bedtime story to _________ (insert your child’s name). Then it will come up with a silly short story with their name in it. Happy Days— This gives you an inspirational quote when you need a little lift. Oprah Magazine— Oprah herself is narrating, from her book What I Know for Sure. A Collection of intimate pieces from her monthly magazine. Dog Facts— Pretty obvious what this is. I am always looking for new products to try out with my boys. If you have recommendations or would like your product featured on RealLifeMamaDrama, please contact me.